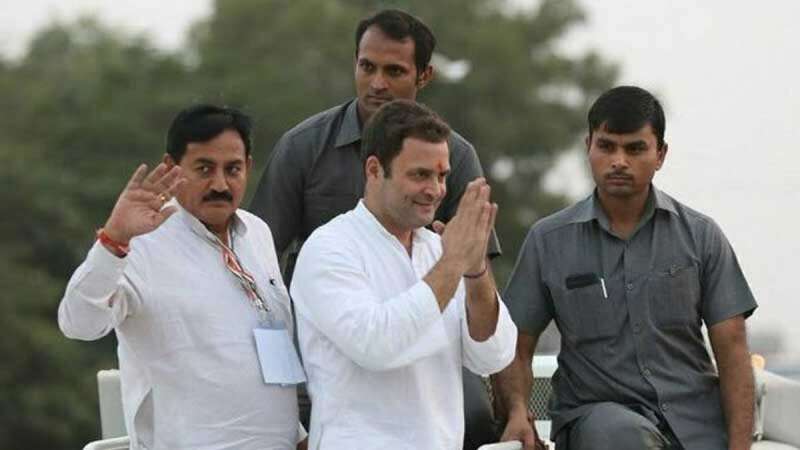 New Delhi : Rahul Gandhi is all set to be declared as Congress chief on Monday when the window to withdraw nomination ends. The elevation process is just a formality as he was the only Congress leader to file nomination for the post. He will be replacing Sonia Gandhi as Congress chief, the move is being touted as a generational shift at the top that could start trickling down too. The official announcement on Rahul Gandhi's elevation will be done after the window to withdraw nomination ends today. He will be formally taking over as Congress chief on Saturday (December 16). Rahul Gandhi had filed nomination for the Congress chief on Monday (December 4). The elevation of Rahul Gandhi, who is presently spearheading the Congress campaign ahead of the December 9 and 14 Gujarat assembly polls, has been much talked about in party circles for around two years. He will succeed his mother Sonia Gandhi, the longest-serving Congress chief who has helmed the party since 1998. Rahul Gandhi became the Congress Vice President in January 2013. Mrs. Gandhi will continue to head the Congress Parliamentary Party. This will ensure that she may be asked to lead some of the party's external dealings with allies and other opposition parties, including on floor strategy in Parliament.